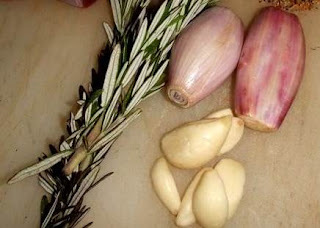 The basic ingredients consisted of a strong olive oil, fresh ground black pepper, rosemary sprigs picked off the shrub next to the braai/barbeque and 6 or 7 pieces of garlic. 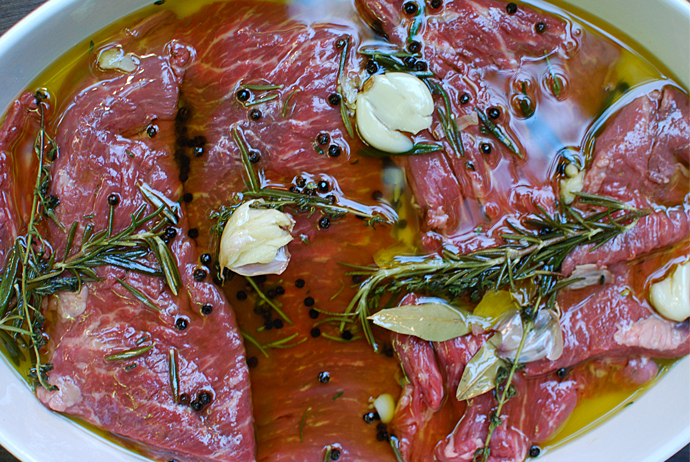 These he smashed in their skins and added to the bowl of steak rosemary and olive oil. He also bashed the rosemary a bit before putting it into the bowl. All this was tossed and left for an hour whilst some hot coals burnt down from some acacia hardwood. The result was the finest steaks I have ever eaten. So simple. The key is to let either the garlic or the rosemary dominate the flavours. That means put in less of the one. 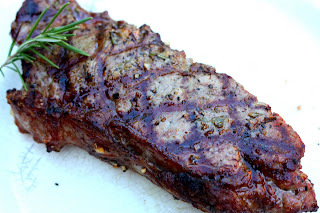 He used more rosemary, and not only whipped the braai grid with a rosemary branchlet but also threw a few leaves onto the hot coals whilst he was grilling the steaks. This has got to be eaten rare or medium. If you like it grey and well done just go and chuck a frozen burger patty in the microwave! You will probably enjoy it more. A bit of explanation...Smashing the garlic and leaving it in the skin, traps the volatile oils so not all of it escapes during the cooking. This is the same reason that you add a very little raw garlic to garlic dishes at the end of cooking. Secondly, bashing the rosemary releases some oils and makes them availabe to infuse. I drop a comment when I like a post on a website or I have something to add to the discussion. It's a result of the passion displayed in the post I looked at. And on this article "Afro-Italian charcoal grilled steak". I was actually moved enough to drop a thought :-) I do have a couple of questions for you if you usually do not mind. Is it simply me or does it look as if like some of the responses come across as if they are written by brain dead people? :-P And, if you are writing on additional online sites, I'd like to follow you.